A doctor told AFP late on Wednesday that six protesters were being treated at Omdurman's main hospital for gunshot wounds. On Thursday, governor of Khartoum Hasim Osman set up a committee to investigate the incidents at the hospital, his office said in a statement. 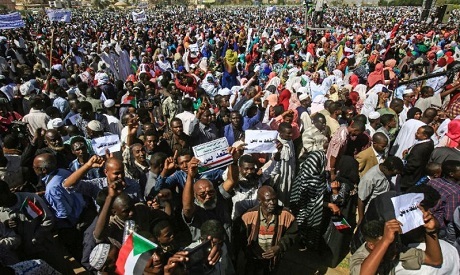 "Those who tried to destroy Sudan... put conditions on us to solve our problems, I tell them that our dignity is more than the price of dollars," Bashir said in an apparent dig at the United States, which had imposed a trade embargo on Khartoum in 1997. "But so far there hasn’t been an escalation, they are persistent but they haven’t risen in intensity in a significant way." Britain, Norway, Canada and the US have called for an investigation into the deaths, warning earlier this week in a joint statement that Khartoum's actions would "have an impact" on its relations with their governments.